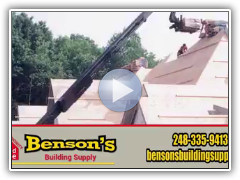 Benson's Building Supply is proud to add Metro Roofs to our metal roofing lineup. 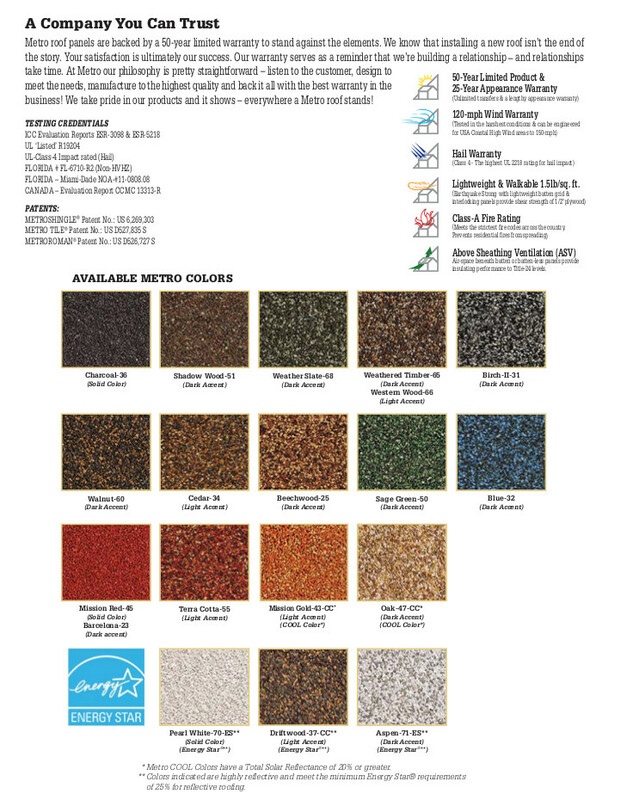 Metro Roofs is part of the Headwaters Group, which also manufactures our popular Allmet Granite Ridge shingles. This addition will give our customers more design options in our stone coated metal roofing. Simulates cedar shake without the maintenance. A hybrid style that has lower profile then the Metro Shake with bold color patterns. Looks like Spanish tile without the weight of real clay tile. Along with Granite Ridge, these products come with a Lifetime, Transferable Warranty that includes 120 mph winds and a 2 1/2” hailstones. That's Baseball size hail! Both Metro Roofs and Allmet products are manufactured in the U.S.A with U.S steel. 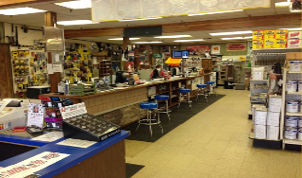 They have been made since 1973 with a proven performance record. Finally, all styles can be installed direct to to deck or on battens for increased energy savings. 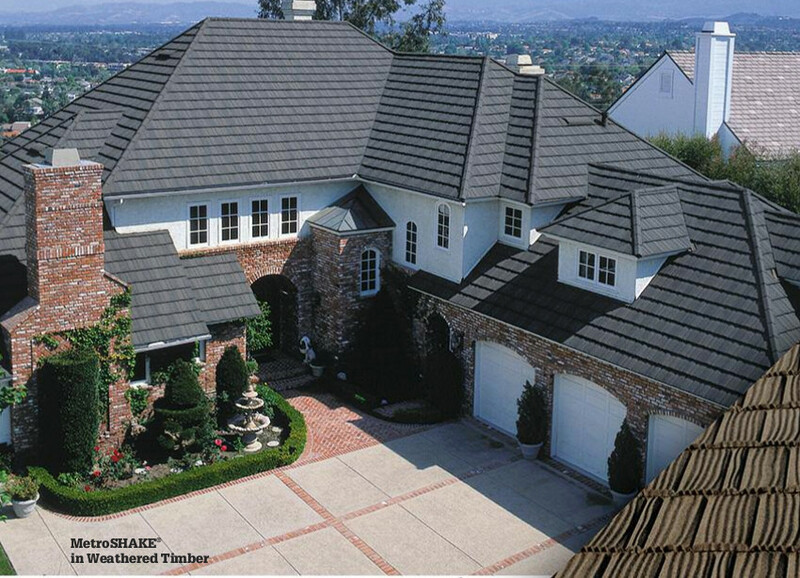 Metal Roofing is the fastest growing segment in residential roofing. It offers the homeowner a final solution to their roofing problems. With the addition of Metro Roofs, we feel we have the most extensive metal roofing options in the area. We now have 9 different manufacturers and hundreds of colors to choose from. Contact us for more information metal roofing, your Roofing Authority has you covered.